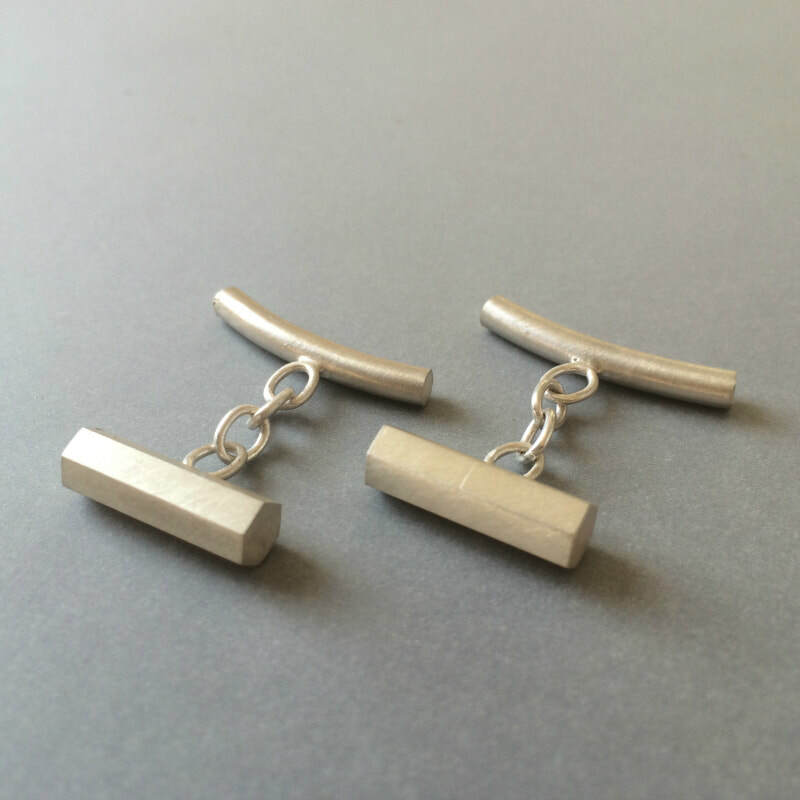 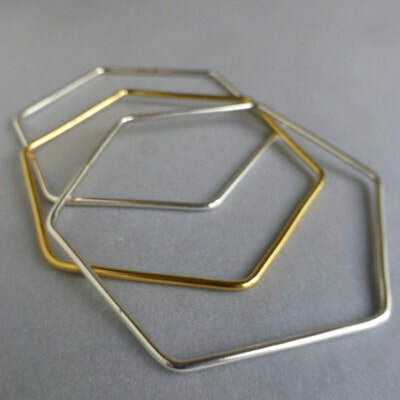 Laila works on jewellery collections that are strongly influenced by her love of geometric forms and mathematics, dealing with clean lines, uncluttered forms and simple designs that are clear to read as jewellery. 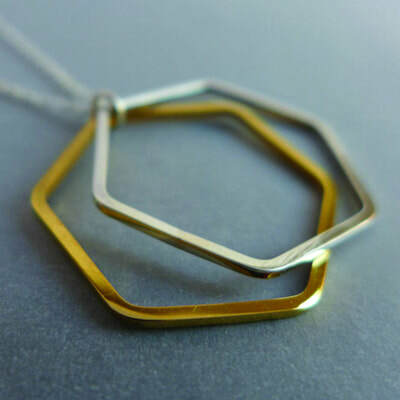 Geometry is the branch of mathematics that deals with measurement, and relationships of points, lines, angles in space. 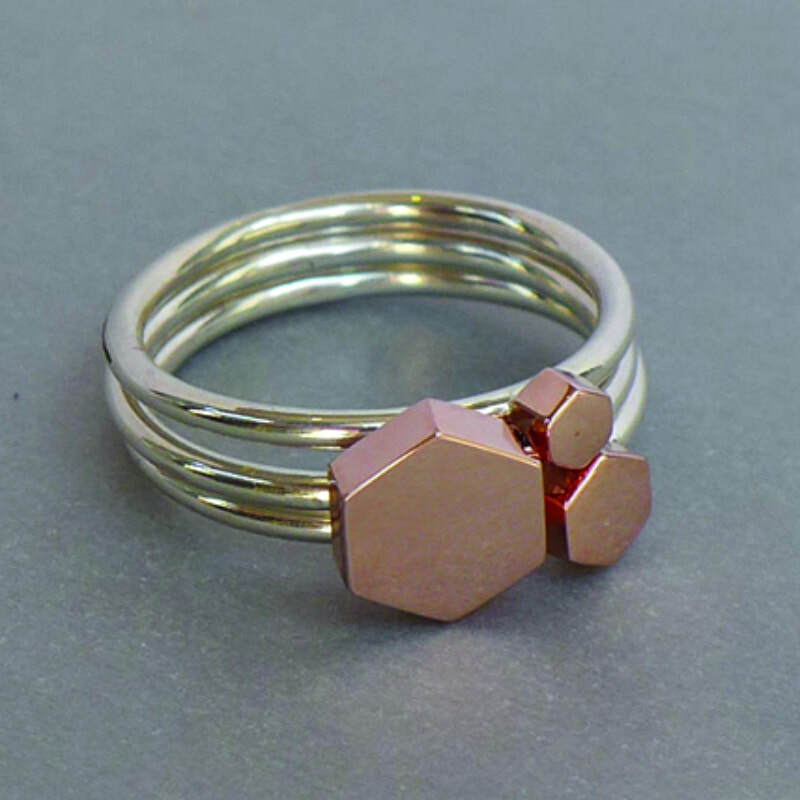 She works with traditional jewellery making techniques and creates all the work herself in her studio on the south coast. 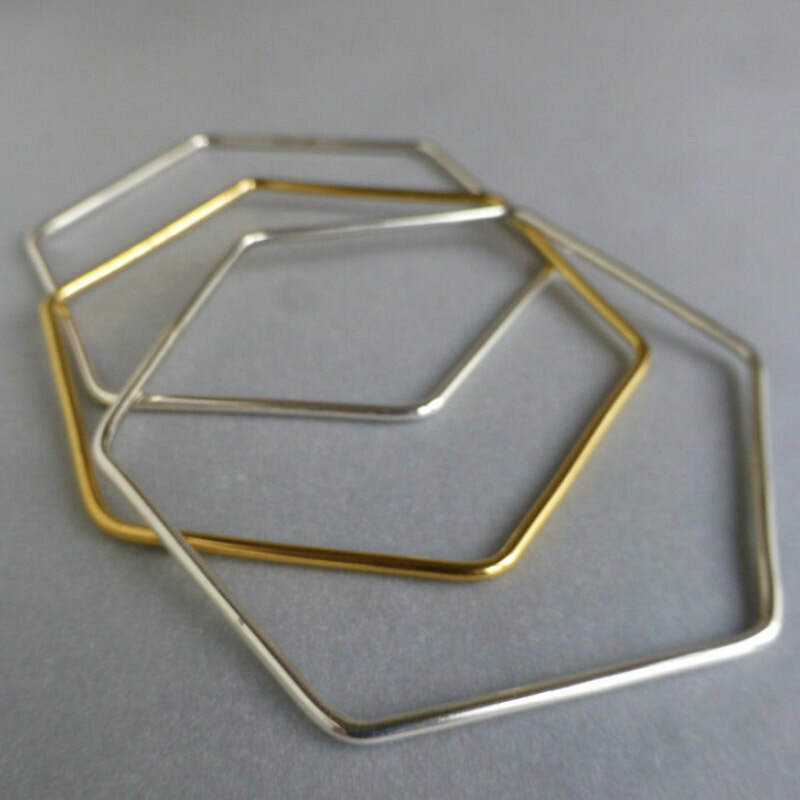 Her work has a minimal aesthetic utilising repeated forms and most recently she has created a number of stacking ring sets in both 18ct gold and silver. 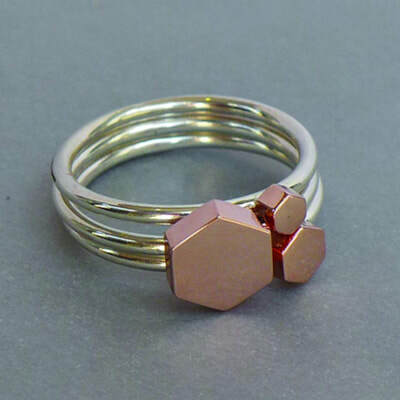 Laila started her jewellery career in 1996 after graduating from MMU in the Jewellery Quarter in Birmingham on a Jewellery Fellowship and has run her own studio ever since.